It is a honor and pleasure to create the Underground Fit Club brand. Located in my hometown of Kuna, Idaho, I’m excited to see this company grow and benefit the community directly. In many ways the Underground Fit Club icon represents the members as much as it represents the company. Some thought behind the shape has to do with the idea of a community being improved by the individuals overcoming a type of inner self revolution. Breaking through the underground, in a way. Active and self-motivated people who need space to exercise will find a home at Underground Fit Club, and I am honored to reveal the completed shapes. Scissorhands required an origin story, brand, website, and in depth social network support. We decided to solve our marketing objectives by essentially creating a world (characters and environment) that reflected the perspectives and styles of the music that he creates. Over time, we were able to connect his musical style with a visual style that were harmonious and instrumental in building an authentic following. We positioned the website and social networks to promote his work in a way that makes it easy for visitors to listen and subscribe to multiple streaming and downloadable options. 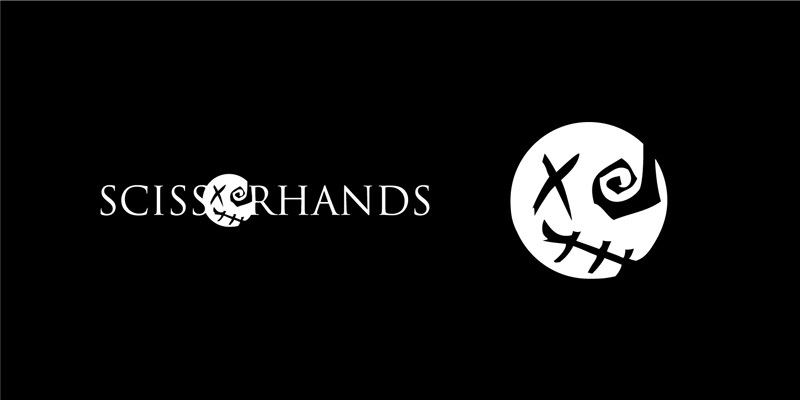 The brand and narrative we launched has continued to help Scissorhands release music directly to his listeners as an independent artist and communicate with them; building an authentic following. 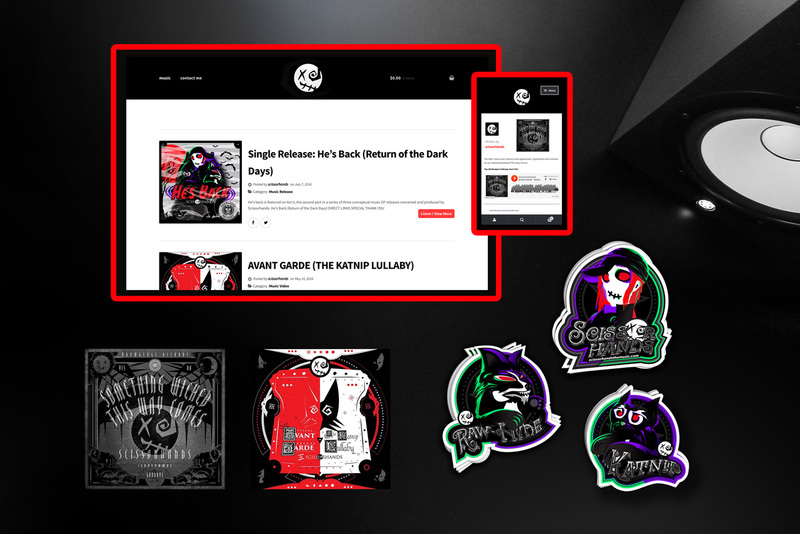 We were presented with a few different objectives when it was time to build The Sticker Mafia’s new brand and website. First and foremost, we wanted to stand out as a leading company in Idaho’s vinyl graphic industry. Our secondary objective was in creating a local sense with the impression that made the viewer feel like they are part of the mafia. Lastly, their new brand required a style that would translate across a wide spectrum of print and digital media. The vision took form in the new logo and we decided to designed alternate badges that could be used through print and digital media. These badges reinforced brand style with focus keywords like “Excellent Customer Rating” and “10+ Years of Experience Serving the Treasure Valley”. After the logo and brand was designed we started developing a website that amplified that tone. 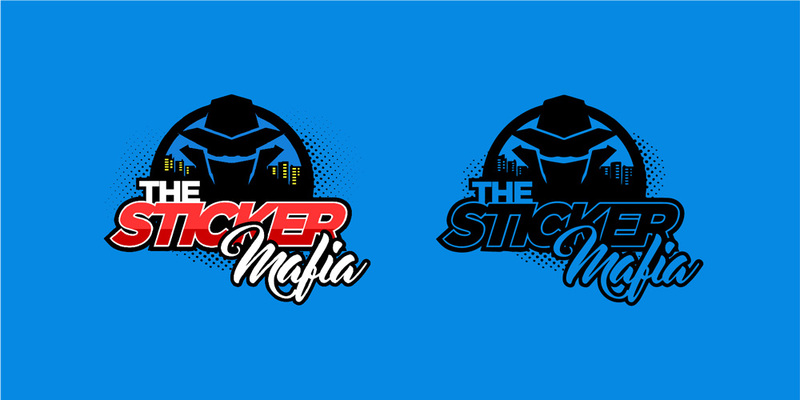 Users can now visit The Sticker Mafia.com to view all aspects of the company. 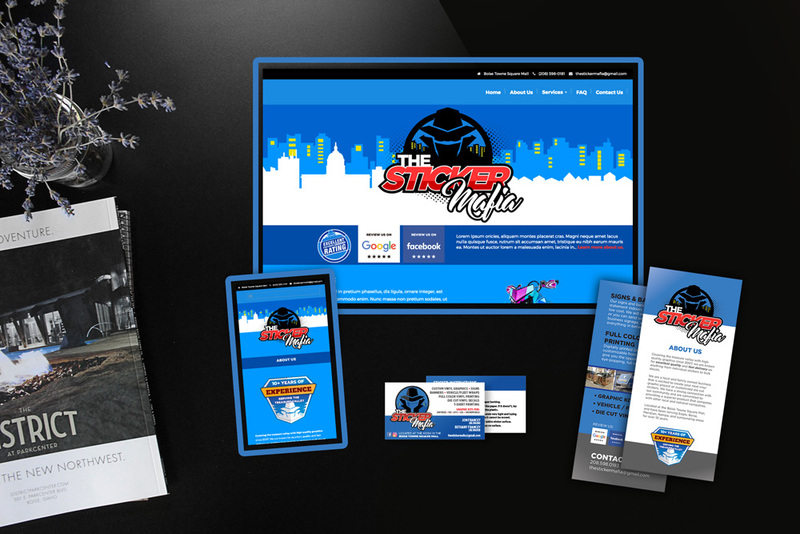 We focused on high quality website content so visitors would have no doubt that the quality produced by the Sticker Mafia is professional and organized.